Boy, buying a printer can be a tricky business. There are just so many to choose from, each offering a host of features, it is easy to get completely confused when comparing them. To make it easier for you, it all comes down to what do you need it for, how many people will be using it and how many prints do you need. Is it for home or work use? Do you need it to fax or scan? We have put together this shopping guide to help you combat the confusion, and find the perfect printer! 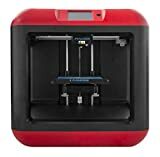 Printers can be broken down into these five categories: Inkjet printers, laser printers, all-in-one printers (multifunction), 3D printers, and photo printers. Depending on what your family's or office needs are, that will help you determine which printer is right for you. We have compared them, to make your decision easier! Inkjet printers: Inkjet printers use ink which makes them great color printers. They are perfect for the office or home use. They print graphs and presentations like a pro, as well as printing photographs for framing or scrap-booking. Whether you need the printer for your child's school projects, or to produce high quality material for your company, this printer is for you. 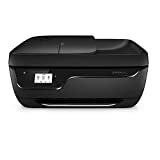 Laser printers: Laser printers use toner, instead of ink. They are great printers for the office as they print large quantities of prints, quickly and efficiently. These printers are good for text printing and spread sheets with simple graphics like logos. And for the office that needs high quality brochures or flyer design, it is possible to get Laser printers that print good quality color prints quickly. All-in-one printers: These are super convenient for the home and business and combines many features into one machine. Not only can you print great quality prints, but scan, copy and in some cases fax too. A lot of models even come with memory card slots so that you can use it as a photo printer as well. 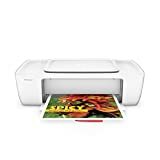 With this printer you have everything you need to run a successful office, print school projects, family photos, copy important documents...the list is endless! 3D printers: These printers are innovative to say the least. Like its name suggests, you can print 3D items, made out of various materials such as plastic, concrete and even food. These are great for designers who want to make a mock-up of a new product, Architects wanting to make models of drawing designs, or even an artist creating 3D art. Photo printers: If you want to print family photos, at the same quality as the professional print shops, then this printer is for you. They are high quality printers, with larger paper sizes, so that you can print for any occasion. Some photo printers even have built-in options for printing right onto a CD or DVD. If you are planning to print a small snapshot to give grandma, or a big family portrait for the living room, photo printers are the ones that get the job done. 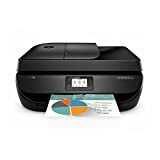 Wireless printers: As WiFi becomes more common, so too are wireless printers. Most of the above types can be found in wireless versions for cable-free use. Speed: People are happier with printers that are just as fast as they need them to be. The Real Estate agent who bought something that spits out 100 flyers in a minute; just what he needed. The mom who bought a printer for printing high quality color pictures for her scrapbooking; also very happy with the speed. Quality: Print quality is a vital factor influencing shoppers' opinions of their printers. The person who needed low quality prints, to print black and whites in big volumes, is satisfied with the quality. Granny is ecstatic that the photos she prints are all shiny like you find in magazines. It all comes down to what quality you want and need. Easy set-up: Who wants to phone a NASA technician every time they buy a new printer? Easy set-up is very important to reviewers to ensure they know how to use their printers and all the features. To make sure you can set up your office with ease and that your printer and PC talk nicely to each other, choose a user-friendly printer by checking the reviews of top brand printers. Features: Features of a printer are very important! The features are the tasks your printer can perform. 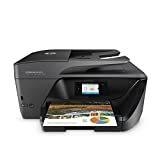 People are much more satisfied with printers that do many things well, such as printing, faxing and scanning and that their printers have all the features they need to make life easier! Ink cartridges can be a complicated and costly business. It is best to stick to a well-known brand, as those cartridges are easier to find. It is helpful to research the cost of the cartridges and compare there too so that you don't get any unfortunate surprises when it is time to stock up! If your computer isn't new, it is advisable to make sure your printer is compatible with your computers' operating system. If you need to scan multiple documents at once, like a contract with many pages, we suggest looking for a printer with an automatic document feeder. That way you can scan the whole document at once, instead of page by page. Saving you time, and making you look more professional in the eyes of your clients. DPI number basically tells you what print quality your prints will be. If you are just printing the odd black and white for your records or to fax, nothing wrong with a minimum of 600 x 1200 DPI. If, however, you are looking to print photos, in all sorts of sizes, that will impress all your friends and relatives, or professional presentation material for clients, then you need no less than 4800 x 1200 DPI for inkjet and 1200 x 600 for a laser printer. Most printer types come in wired or wireless versions. Wired printers are super simple - just plug in and install the relevant drivers. (A computer running Windows will typically identify the printer and install the drivers automatically. There might be proprietary software that you might want to install as well, for improved features and functionality.) A wireless printer is just as straightforward. If you are running Windows, go to Settings>Devices>Printers & Scanners, and select "Add a printer or scanner". When the desired printer appears, click "Add device". The computer will load the drivers automatically. Brother: Formed in 1954, Brother opened its American branch and moved into the fields of knitting machines and home electric appliances. Over the years they have built up their portfolio to include electronics and printers. Canon: Canon's founding mission was to build a company that created high-quality cameras. Canon realized this dream in 1936 when it released the Hansa Canon, Japan's first 35mm focal-plane-shutter camera and have expanded over the years into producing an array of electronics, including printers. Epson: The history of Epson America and their parent company Seiko Epson Corporation began in 1942 with a heritage of watchmaking that led to the invention of the world's first quartz watch. From there the company expanded into electronics and its printed are now rated among the best. HP: Bill Hewlett and Dave Packard became friends at Stanford University, 75 years ago, before forming a two-person company in a rented garage—the original Silicon Valley startup and are now a renowned name in computers and printers.